So you are looking for perfect wedding locations? 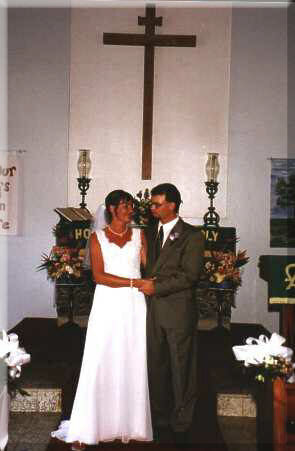 Because St John Weddings can help. In the first place the US Virgin Islands has tropical splendor and a soft relaxed life style. The beauty of our aquamarine sea and the vibrance of the underwater life is unparalleled. St. John is a colorful, delightful, entertaining little island. Charming characters from all over the world pass through here and some even stay. From beach side burger stands to elegant world class restaurants, from kayaking to America’s Cup sailing, from camping in a tent to lavish villas, St. John has it all. 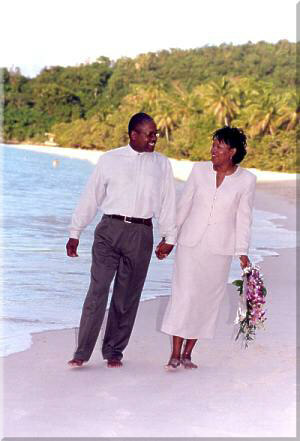 Ever thought of getting married on a beach? As a matter of fact you can for only $400.00! As a matter of fact National Geographic magazine called Trunk Bay “Among the ten most beautiful beaches in the world”. And our other beaches are just as beautiful. 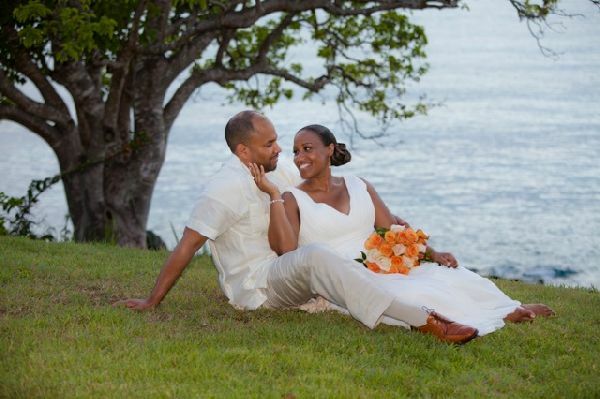 Many brides choose Hawksnest beach because of the sweetness of being married on a beach where the Hawksbill Turtle nests. Cinnamon Bay Beach is a rich archaeological Taino Indian site and an expansive “postcard perfect” beach. Anne Marie has a Commercial Use Authorization for all National Park properties. 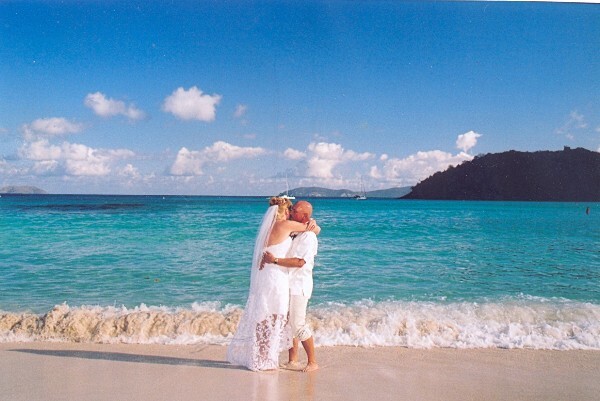 That gives you nine fabulous, world famous beaches to choose from for wedding locations! 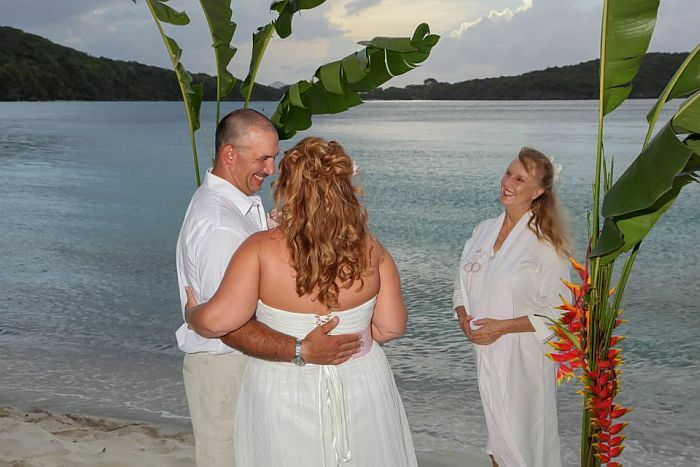 No weddings are allowed on Cinnamon Bay Beach Thanksgiving thru May 1st unless the bride & groom are staying at the campground. 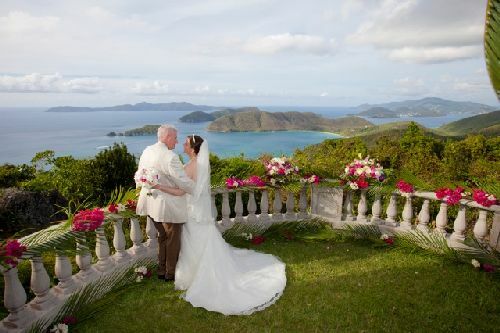 May 2nd until Thanksgiving, weddings can be held pending the approval of Cinnamon Bay Campgrounds manager, Julia Gregoire. 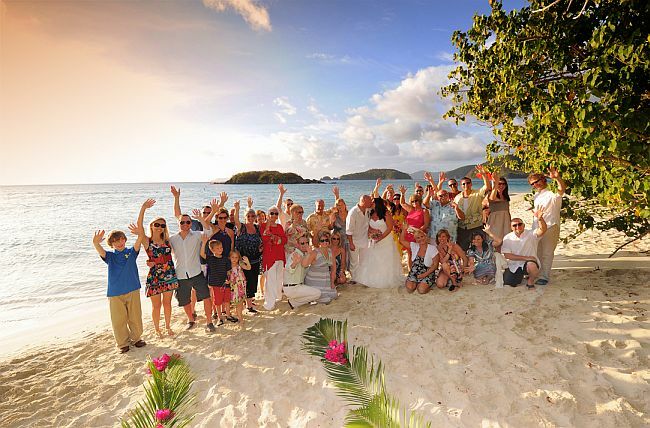 The maximum number of people at a Cinnamon Bay Beach wedding, at any time, is 25. Your marriage site is included in her very reasonable price of $400.00. 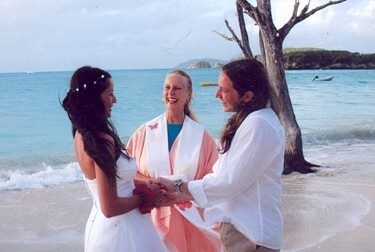 “I write to send my heartfelt thanks for the lovely ceremony you helped Jonathan and I to create last week on the beautiful and pristine Salt Pond Beach. Your warmth and candor was deeply touching, and I know we will treasure that memory for many years to come. 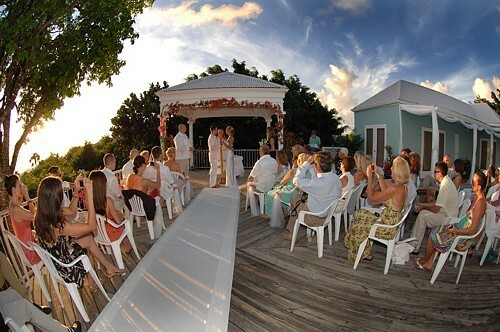 Once again, on behalf of the whole Reiner-Patkowski family, many, many thanks for a perfect wedding ceremony on St. John! 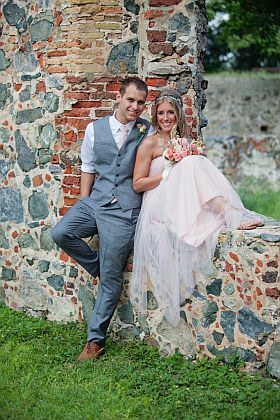 For couples who do not want a wedding on the beach,The Sugar Plantation Ruins at Annaberg is a splendid wedding location . 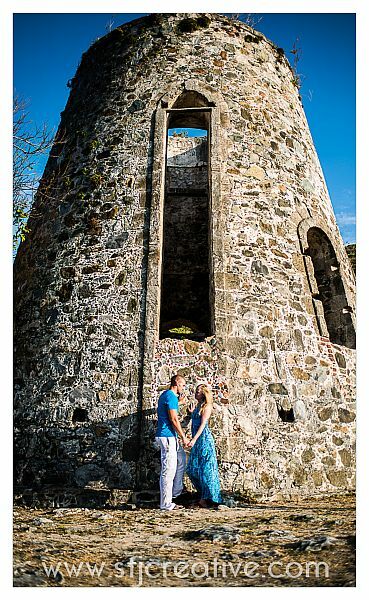 On a hilltop overlooking the British Virgin Islands, Annaberg Ruins is picturesque and private. 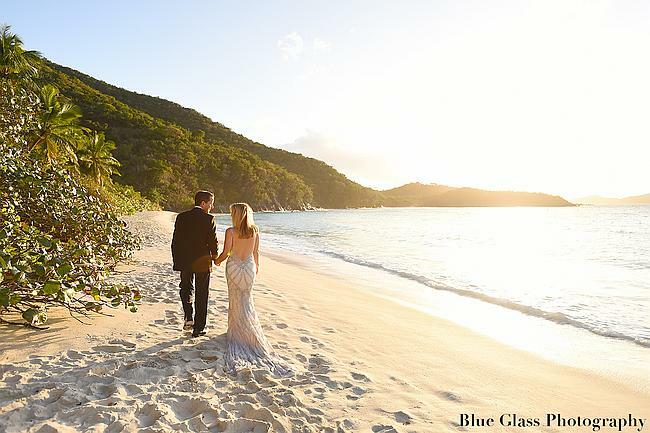 St. John has hundreds of fabulous vacation villas and you may decide to get married in the home you are renting for your honeymoon. 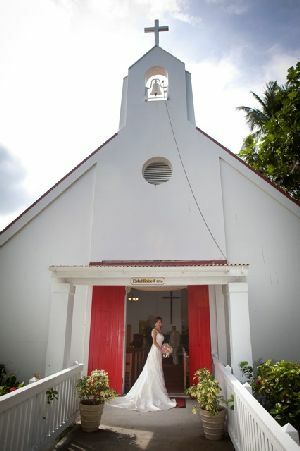 You can have the tradition of a church wedding in a sweet little island chapel with local chickens in the yard and a two minute walk to the beach for your after wedding photographs. Your church service can be contemporary Christian or nondenominational, or the denomination of your choice. 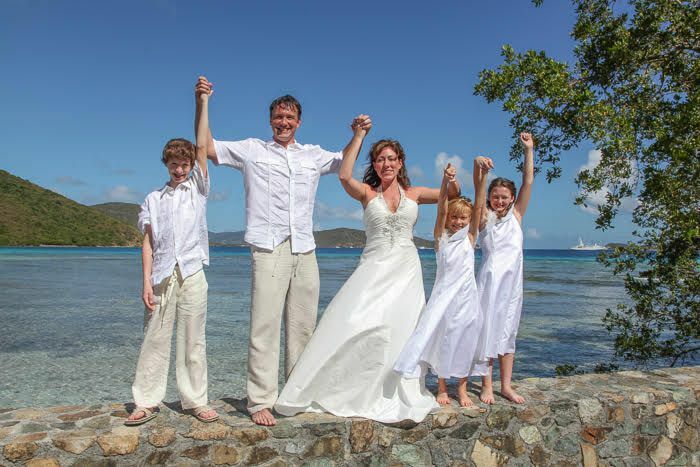 In conclusion let Anne Marie help you with all your choices of St John wedding locations. so we can discuss your many wedding locations.